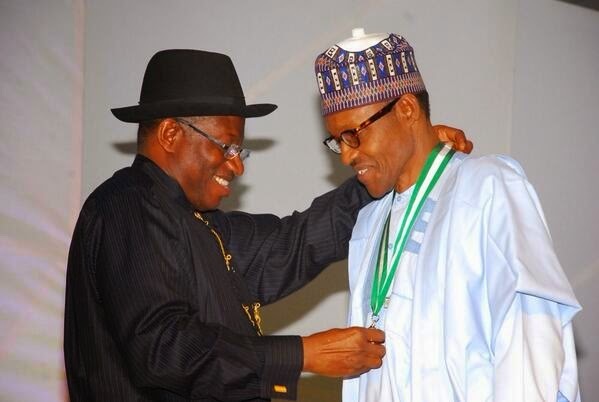 President Goodluck Ebele Jonathan has written to congratulate General Muhammadu Buhari on the occasion of his 72nd birthday anniversary which comes up tomorrow, Wednesday, December 17, 2014. In a congratulatory letter addressed to the All Progressives Congress (APC) candidate in next year’s presidential election, President Jonathan prayed that God Almighty should grant him many more years of good health and personal fulfillment. “As you mark your 72nd birthday anniversary, I write, on behalf of my family, the Government and people of the Federal Republic of Nigeria, to extend warm felicitations to you. “I join your family, friends, and well-wishers to thank God for your life and to pray that He continues to guide, guard and prosper you even as He blesses you with many more years of abounding health and personal fulfillment,” President Jonathan wrote. He wished General Buhari a very happy birthday.